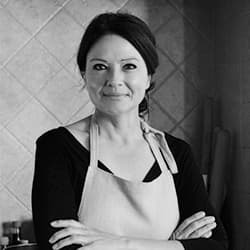 On this year’s list of coolest liquid trends we find out how sherry finally managed to shake off its dusty image, celebrate local hero, rooibos tea and see the rise of the mocktail. 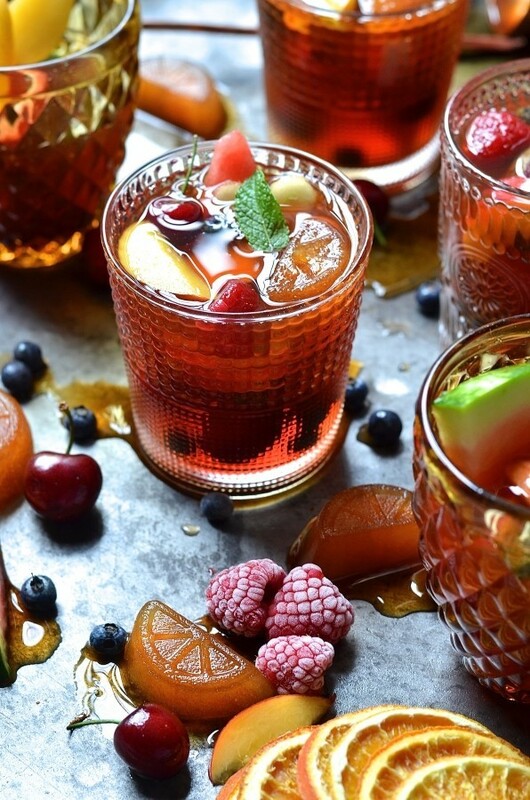 More about the sherry later, but today we’re taking a refreshing dip into the latter with this tipple-free, Rooibos sangria. 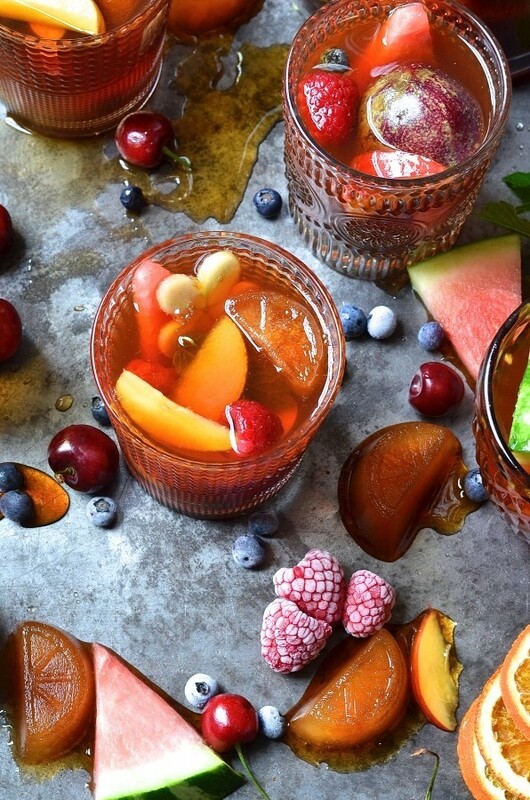 Poised somewhere between a fruit salad and a summer quencher, it’s a colourful salute to seasonal fruit and frosty drinks with benefits. To make the sangria I start with a watermelon infused rooibos tea. The wine is replaced by its unfermented counterpart, red grape juice. To this I add freshly squeezed orange and lemon juice. And to sweeten the deal, a free-handed squidge of orange blossom honey. There’s really no hard and fast rule to what fruits to add. Grab whatever you fancy, just make sure it’s ripe and fragrant. Ripe fruit has a heady perfume that’s unmistakable. A generous handful of mint imparts a distinctive herby freshness that’s cool and clean. I love the combination of sweet and tart and to this end, I reach for tangy granadillas and raspberries. The frosted fruit is optional but adds a burst of cool tartness with each sip. Obviously any summer cocktail/mocktail needs plenty of ice. 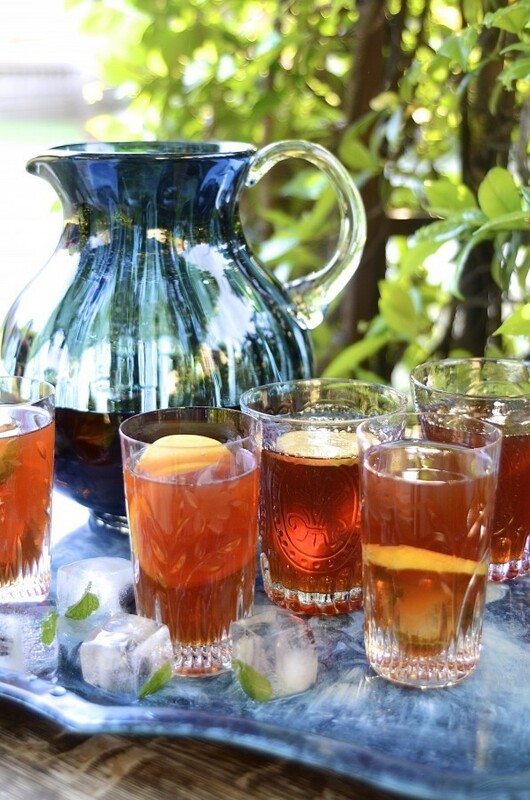 A nifty little trick is to make ice cubes from the iced tea. It’ll keep the sangria chilled without diluting the taste. 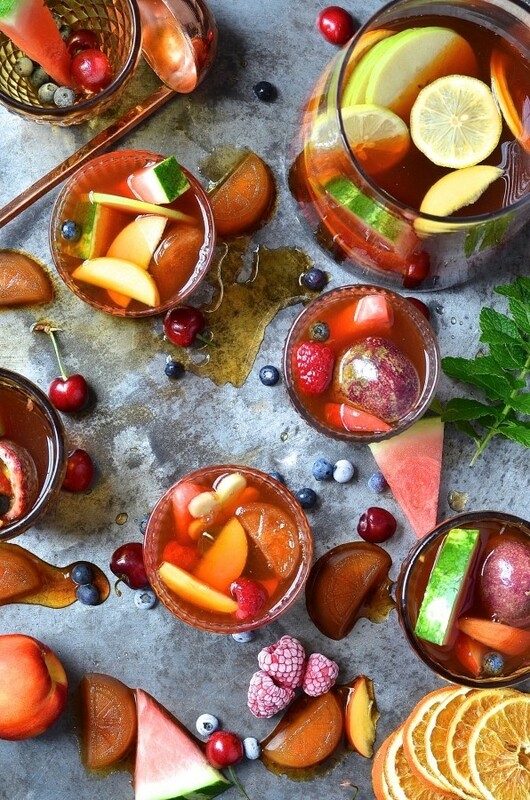 And when your glass is empty, there’ll be plenty of sangria-soaked fruit to snack on. Steep the watermelon tea bags in the boiling water for about 30 minutes. Remove the tea bags and discard. Add the honey and stir. Add the grape juice, orange juice, freshly squeezed lemon juice and both lemon and orange slices. Chill until icy cold. Add the mint and the fresh fruit and stir to combine. 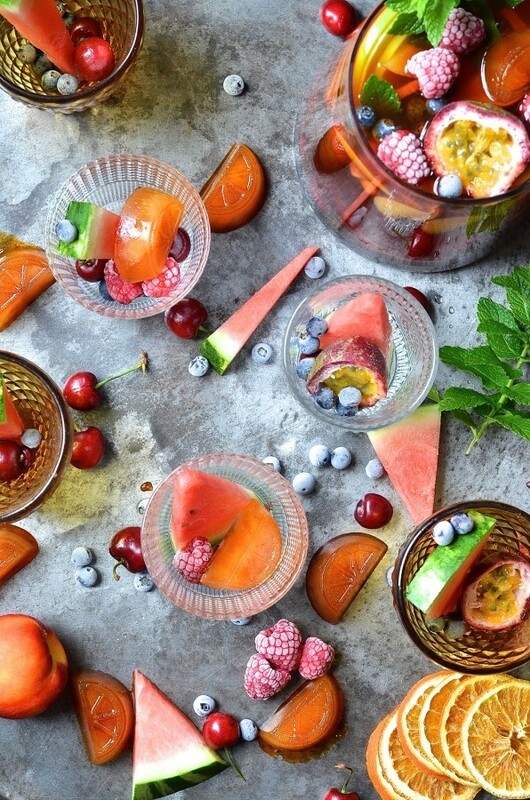 Fill tumblers with ice and the frosted berries and top with Sangria. Another rooibos favourite? This cranberry iced tea.